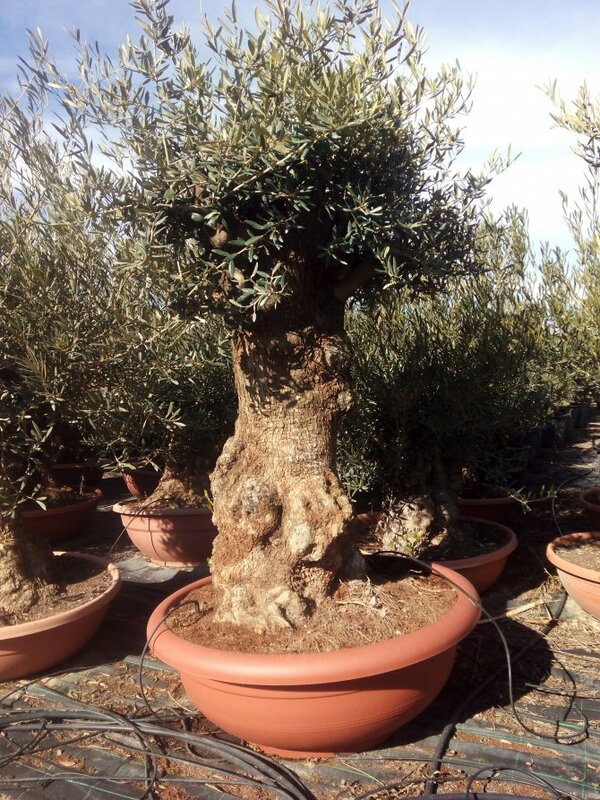 From the miniature to the magnificent, we hold an extensive collection of olive trees for sale. 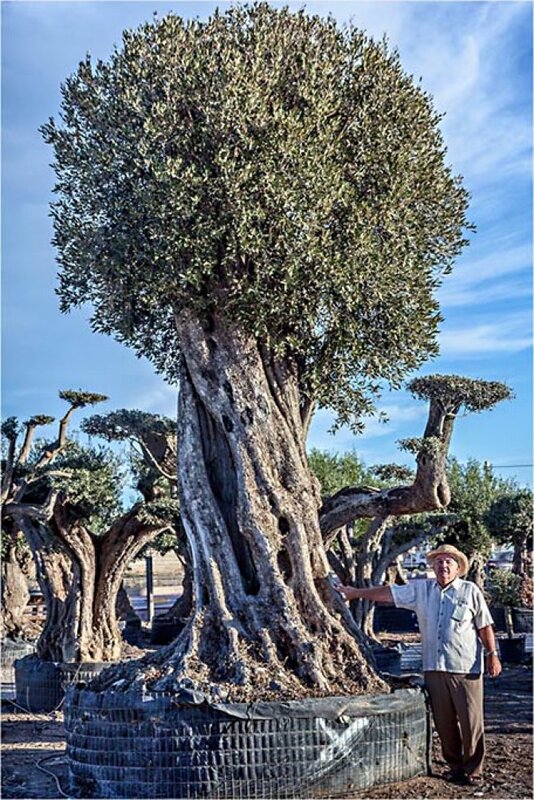 Symbols of peace and longevity, olives are the most characterful trees in the world. 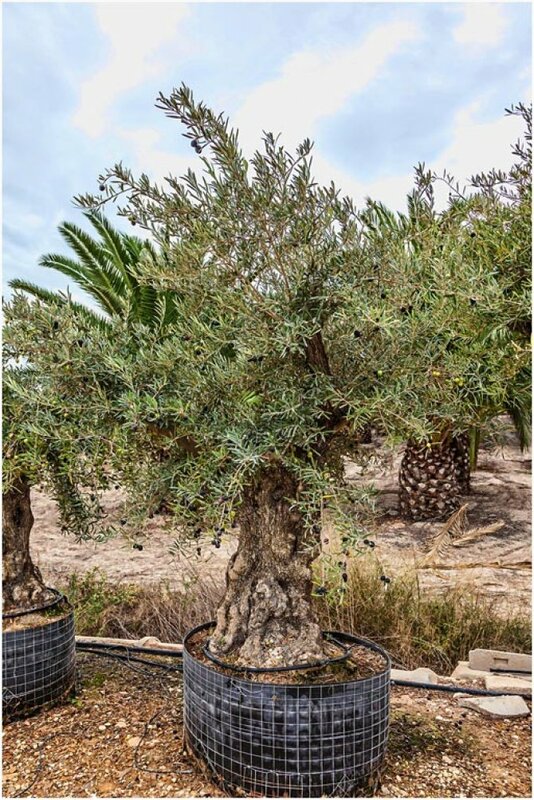 Here at PalmFarm, we are confident that we can supply the specimens you require, ranging from small olive trees, through an impressive range of sizes to awe-inspiring, architectural centrepieces. 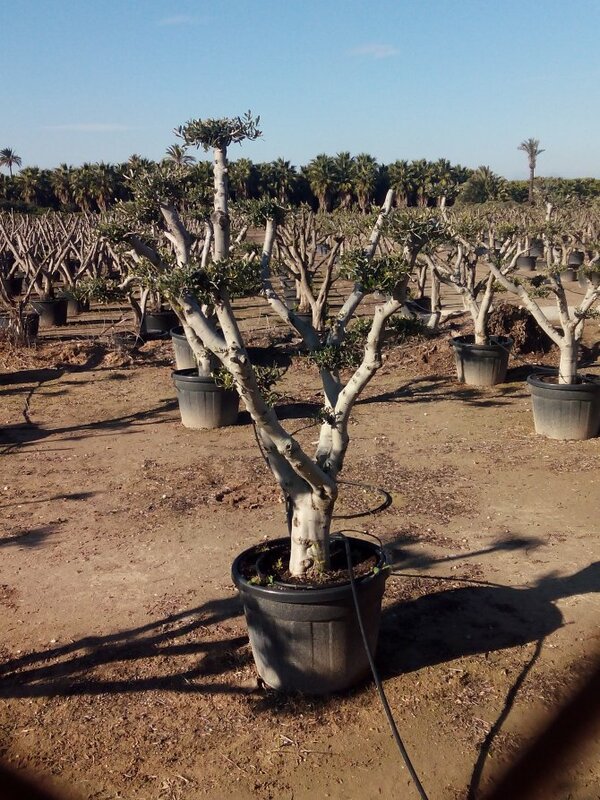 Perhaps you want gnarled, chunky trunks, but don’t have the space available for full size olive trees? 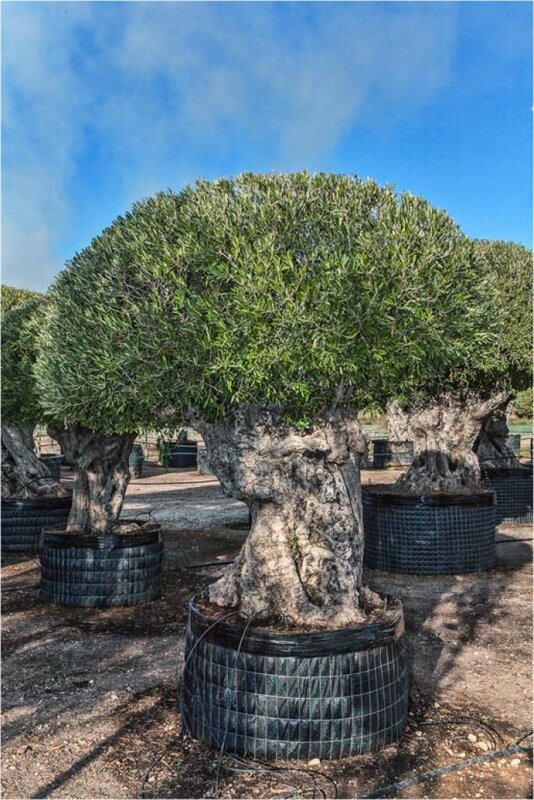 We have the perfect solution – “bonsai” olives, aged trunks, approximately 90 cm high are grown in terracotta coloured bowls. 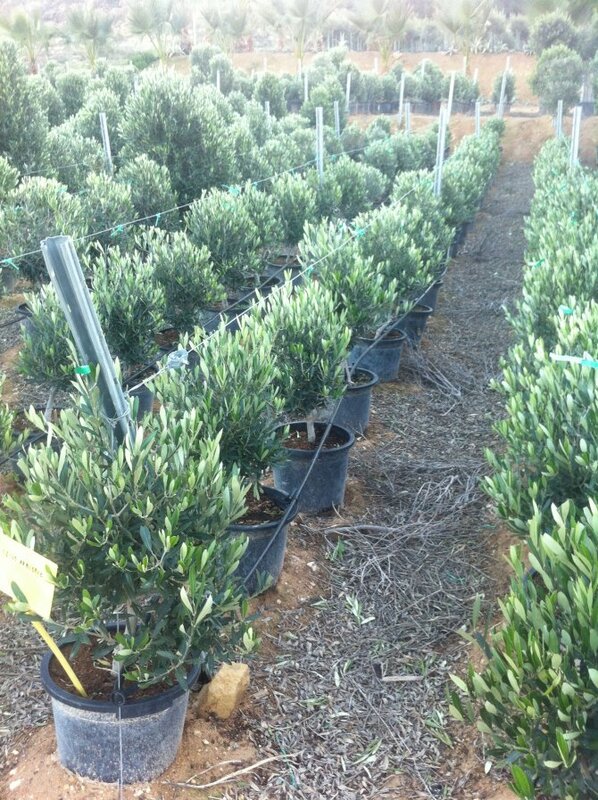 They can be left in their attractive containers or easily planted into the ground. 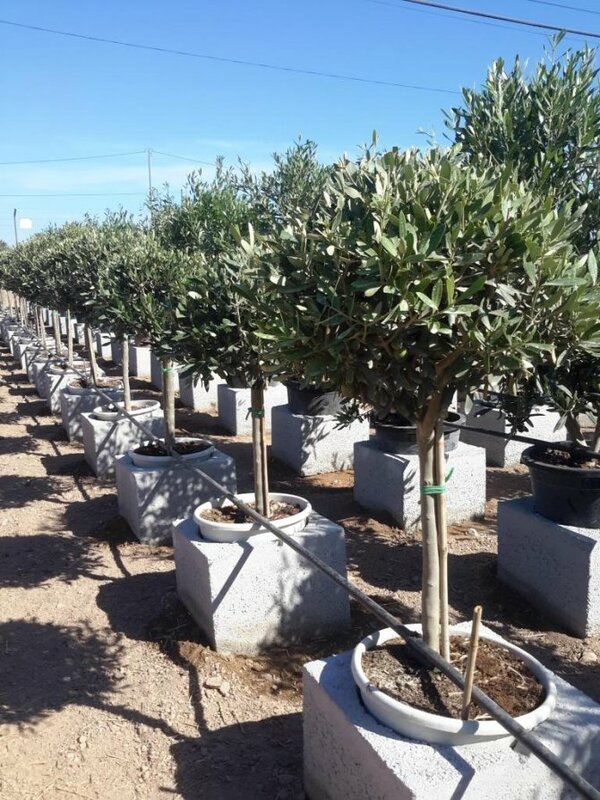 These types of olive trees have proved popular with our customers.